Religion and Foreign Affairs offers readers a broad selection of essays, ranging across cultures and worldviews. From the ethics of force and peacemaking to globalization and American foreign policy, this compendium provides a solid introduction to the field of religion and foreign affairs that will stimulate discussion and encourage intelligent practice. 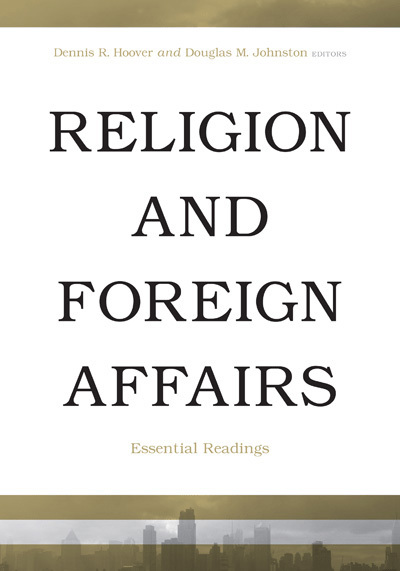 This reader is an impressive, timely compilation of some of the best writings on religion and foreign affairs. Hoover and Johnston provide a critical overview and a helpful division of the articles into key issues areas, including secularization, democracy, conflict, development, human rights, globalization and peacemaking. Students and teachers of religion and global politics will find the volume immensely valuable as a unified source for grappling with the complexities of this topic.